We are very pleased to host a talk by Dr. Audrey Kauffmann, Bioinformatics group leader in oncology at Novartis. She will be holding a talk on her experience, her work at Novartis Institutes for BioMedical Research and the field of bioinformatics/computational biology in a big pharma company. 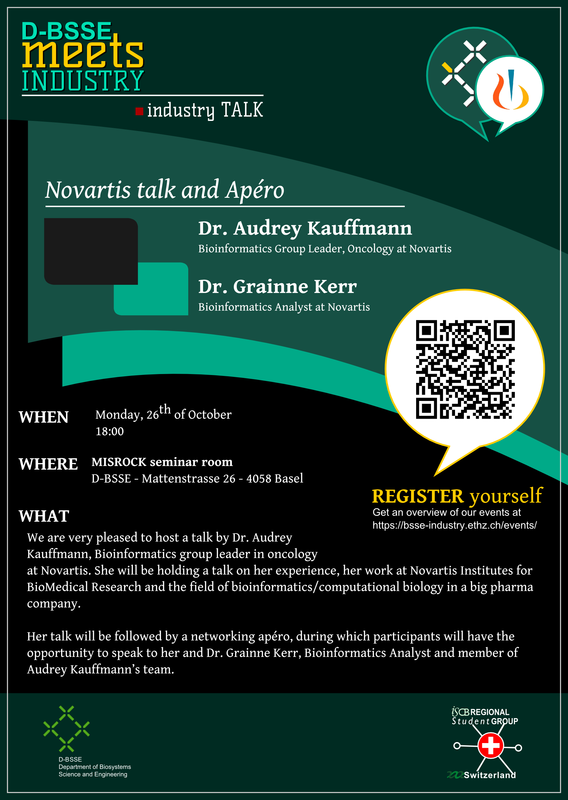 Her talk will be followed by a networking apéro, during which participants will have the opportunity to speak to her and Dr. Grainne Kerr, Bioinformatics Analyst and member of Audrey Kauffmann’s team.